Following graduation from engineering school at OSU and two years work with mentally and physically handicapped adults, I set out from Hillsboro in 1973 to hitch hike around the world. On a small island off the coast of Scotland, a fellow traveler intrigued me with his account of treatment by acupuncture. As the result, I hitched to a clinic on the south coast of England where I received my first evaluation, treatment and introduction to this amazing medicine. My curiosity was aroused and my life was changed forever. Later study in Japan included shiatsu massage and volunteer assisting at a research institute investigating acupuncture energetics, distance and hands on healing, yoga and parapsychology. 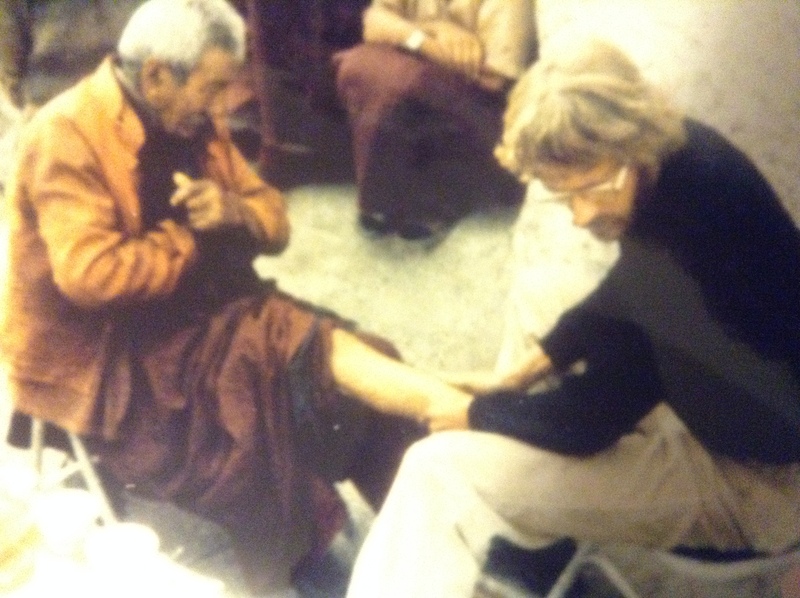 Time with incredible people including Mother Theresa, a Philippine psychic surgeon, a stigmatic nun in India and other physicians and healers nurtured my interest in healing arts. Encountering countless sick and injured ordinary people in need of medical care throughout Asia inspired me to pursue further studies in Oriental Medicine. I returned to America to study at America’s oldest acupuncture school, the New England School of Acupuncture in Boston, graduating in 1983. During this period I maintained a private practice, while working at two substance abuse treatment clinics and at the Pain and Stress Clinic of the Shattuck Hospital. I taught Shiatsu massage and Chinese medicine at the Massage School of New England, Interface Foundation and Tufts University. My fascination with unconventional healing has led me from Native American ceremonies and fire walking in the USA to a New Zealand color healer and South African Zulu witch doctor. Each encounter has provided insights into the complex dynamic of illness and healing, at individual, cultural and national levels. In 1994 I returned to Oregon and opened Columbia Acupuncture with offices in Hillsboro and Scappoose, where I have now provided complimentary health care services for nearly twenty years with the longest running acupuncture practices in Columbia and western Washington counties. I live with my wife, daughter and Licorice the cat in Hillsboro, Oregon. I enjoy gardening, hiking and camping, biking and kayaking, and photography to capture special images and moments, and keep people and places from the past alive and present with me even today. Current member of the Oregon Assoc. of Acupuncture and Oriental Medicine (OAAOM). My mission is to provide safe, natural, effective and affordable health care to help my patients and customers enjoy optimal health and well-being.